Among the restaurants Milan Navigli, the Pont de Ferr throat and tickles the imagination, like a true gourmet restaurant can do. Well done Matias Perdomo! Celebrating a birthday is a matter of psychological investigation: where you want to solemnize your birthday perhaps reveals the secret and hidden nature of the birthday wishes. What does it mean? Tell me where you celebrate your birthday and I will tell you who you are. That's why I decided to wish me a happy new year to the Pont de Ferr, Milan restaurant, where Chef Matias Perdomo with the help of Simon Burton creates dishes. 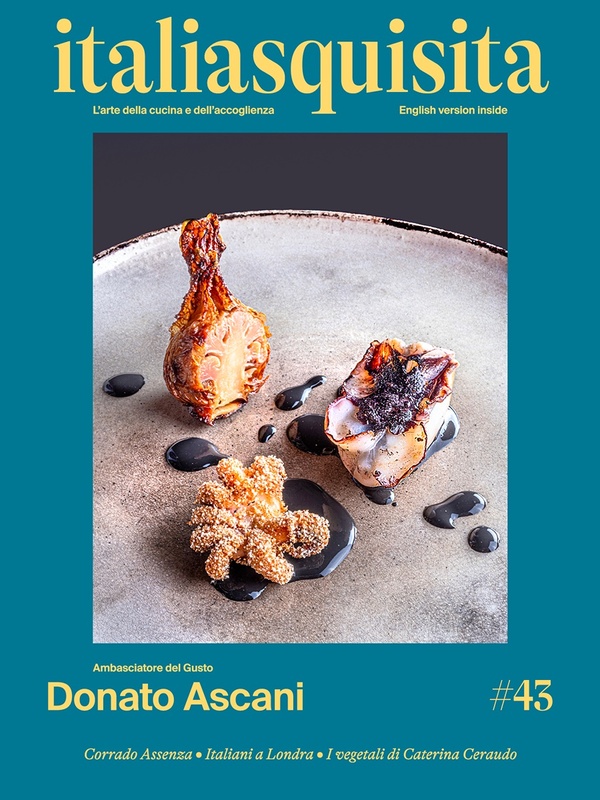 Among the restaurants in Milan Navigli, the Pont de Ferr is a true gourmet inn: wooden tables and paper napkins, but in a glass stands the champagne of the hostess Maida Mercuri; and then there's a spectacular cuisine, creativity and raw materials. So happy birthday Carletto, here's the Foie gras with whiskey, grapefruit with poppy seeds and Martini. Then smoked oysters, cream of yogurt and cucumber, tapioca imitation caviar: sensations sweet-salty-acid loud, a gargantuan triad. Matias Perdomo is Uruguayan but his initiative is beyond the barriers and borders. Italy is giving him courage, passion, creativity and magic. That's why I get a superb dish: Soup of figs and foie gras. I would have wanted a full bathtub! The creative dish of Cannolo with milk plastic filled with mozzarella, crisp bread crumbs and anchovies from the Cantabrian Sea. Milk plastic? Yes, that is formed by boiling the milk, the chef has not thrown it disgusted, but he reused with innovation and tasty recovery love. I seems like I see a young Carlo Cracco. By "recycling" of cow's milk to religion: Sirloin of lamb in the ashes with ice plant. A plate of the Eucharist, almost sacred. A generous hymn that awakens the Phoenix from the ashes of the volcano. The ice plant is a relative of the fig tree, with flowers and leaves fleshy with triangular section that is easy to find on the coasts and islands. Associate lamb is pure and delicious fantasy, symptom that Matias Perdomo is a young curious chef, who is not afraid to experiment. Finally here's a King: Crunchy mango, sponge cake and cinnamon ice cream. Golden reflections everywhere, as stereoscopic small sensations directly into eyes. Among the restaurants in Milan Navigli, the Pont de Ferr was an enchanted place where to celebrate my birthday. It has never been so sweet and funny age 365 days.